The House took a short spring break in mid-March to allow members to spend time with their families and return to their districts after a major deadline. We’re back up to speed now and have been spending the last two weeks in committee meetings to hear bills passed by the Senate. We received over 400 bills from the Senate and have already passed about 225 from committees, so we still have our work cut out for us before April 11’s committee deadline. Last Wednesday, the House and Senate met in joint session to honor our service men and women for Veterans Awareness Day. The House gallery was completely packed with visitors and veterans showing their support as well. Gov. Kevin Stitt and Lt. Gov. Matt Pinnell also attended and both shared remarks. It was an honor to spend some time this week recognizing the achievements and contributions of our state’s veterans. Our veterans, both past and present, have made an extraordinary sacrifice for our country. Their service gives us back home the opportunity to lead lives of freedom, and our thanks cannot be overstated. They deserve our full commitment of care, whether that’s through PTSD treatment, suicide prevention, quality health care or tools to prevent homelessness. This week, I passed Senate Bill 116 through the House floor. This is a bill I’m carrying in the House for Sen. Gary Stanislawski from Tulsa and is a companion to one of my own bills, House Bill 2511. 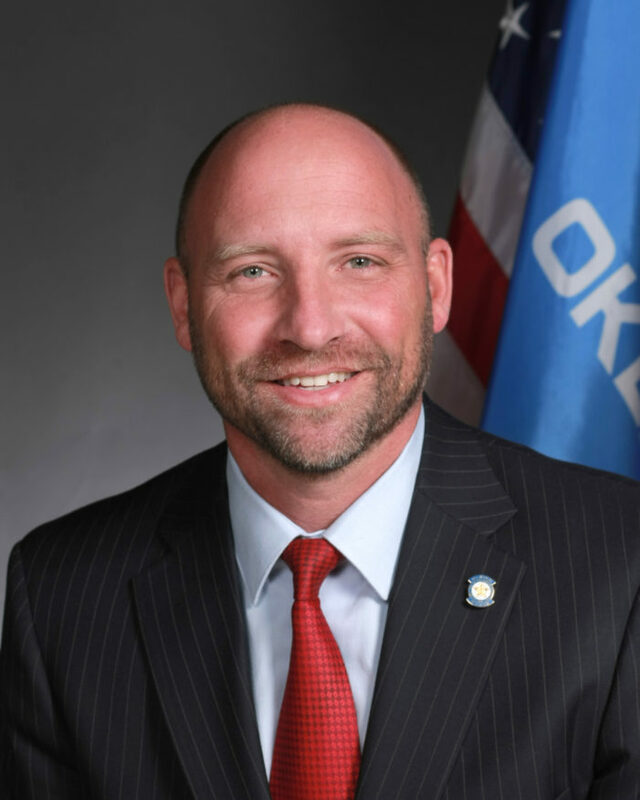 SB116 permits the State Purchasing Director to authorize purchases for the Oklahoma Film and Music Office, which they can utilize for programs, functions or services essential to the agency’s mission. I’m pleased SB116 passed the House 90-0. It’s now available to be signed into law by the governor. Outside of the Capitol building, we’ve seen multiple disturbing acts of hate at several locations across Oklahoma City and Norman over the last few weeks. There’s no place for this kind of hatred and ignorance in our state or country. I’m saddened by these terrible displays, but I’ve also been encouraged by the overwhelming public outcry condemning these actions and show of solidarity with those attacked. As we move forward and continue with our day to day lives, we must continue to combat the roots of these actions to prevent such instances of racism and discrimination from occurring again. Lawmakers at the Capitol will continue to move through the legislative process. You’ll start to hear more on the budget proposal as the House and Senate work with the Governor and agency heads to draft a budget that funds necessary programs. As always, I encourage my constituents in District 31 to contact my office with questions or comments on legislation. Thank you for the opportunity to serve the community of District 31!